Jihad Watch : Predictably, Hamas-linked CAIR is claiming that resistance to their propaganda initiative is itself a sign of “Islamophobia.” But in reality, this unsavory group has no business in the public (or private) schools. CAIR is an unindicted co-conspirator in a Hamas terror funding case — so named by the Justice Department. 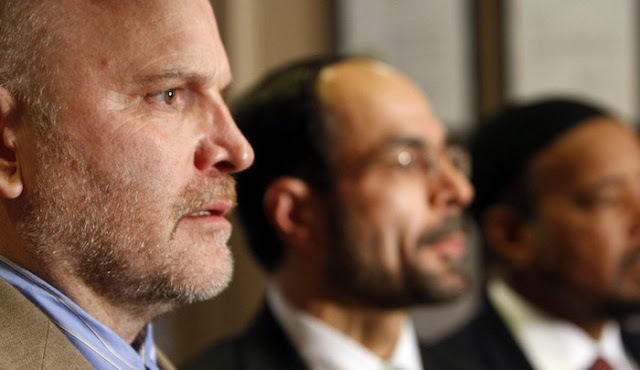 CAIR officials have repeatedly refused to denounce Hamas and Hizballah as terrorist groups. Several former CAIR officials have been convicted of various crimes related to jihad terror. CAIR chapters frequently distribute pamphlets telling Muslims not to cooperate with law enforcement. CAIR has opposed virtually every anti-terror measure that has been proposed or implemented and has been declared a terror organization by the United Arab Emirates.